The 114 photographs on this site are from Pol Pot's secret prison, codenamed "S-21" during his genocidal rule (1975-79). Between 1-2 million Cambodians – and many thousands of foreigners – were starved to death, tortured, or killed, during this reign of terror. Former prison staff say as many as 30,000 prisoners were held at S-21 before the Khmer Rouge leadership was forced to flee, in the first days of 1979. This website contains most of the photographs that were printed for the book Killing Fields (Twin Palms Press) and for a traveling exhibition, which was on display at the Museum of Modern Art in New York City, as well as many other locations. 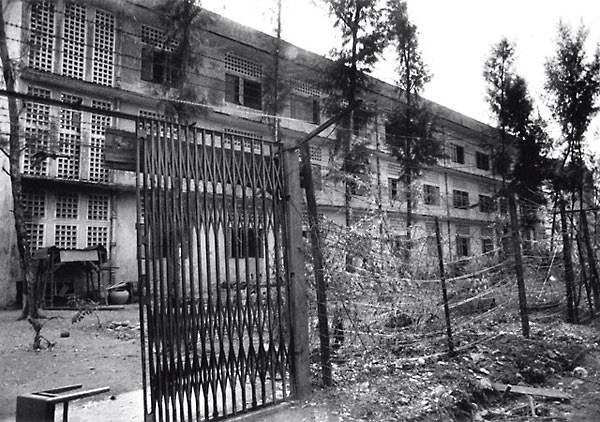 Currently the Tuol Sleng Museum of Genocide, which is located within the former prison grounds, has the original negatives and a catalog of all 6,000 remaining negatives. Cornell University also has one of the catalogs, and the DCCam Project has also incorporated scanned versions of the images into their database, as well as Yale University. In 1997 American photographer/researcher Doug Niven identified and located the prison photographer, Nhem Ein, who had been living in a Khmer Rouge stronghold since 1979. Since meeting Nhem Ein, many other former prison staff have been identified and interviewed, adding to our knowledge of this piece of awful history.